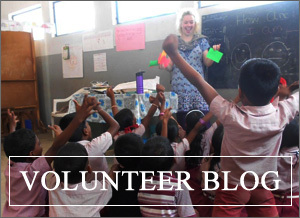 Volunteer Diary: A Day in the Life, Sri Lanka. Melissa has written another excellent blog for us (you may have read her last one, if not catch up on it here), this time about her day to day life in Sri Lanka.Warning: If you read this you are more than likely going to want to jump on to the next plane to Sri Lanka and join her!! It is hard to define a typical day in the life of a VESL volunteer in Sri Lanka, as there is so much variety (which is one of many reasons why I love it so much!) However, I have included below some of the highlights that make it a real pleasure to get up every morning. I wake up at 5:30am to the sound of the river gently flowing outside my room. The family I stay with reside on the banks of the Kalou Ganga (Black River) and I have my own separate accommodation next to their house. I spend about half an hour battling to dress myself in my sari before my surrogate mum arrives with a mug of ginger tea and the ability to quickly and brilliantly re-dress me so that every pleat and fold looks perfect. Kumara, my three-wheeler driver, collects me at 7:10am, along with the family’s two sons, Ashan and Lohan. Some days one or two (or even three!) other people squeeze in with us and we set off on the ten-minute drive to school. I take in the sights around me; beautiful green mountains, rain-sodden paddy fields, buses so full that people are hanging off the sides, small boutiques selling fresh fruit and vegetables, a herd of cows wandering along the middle of the road, and stray dogs roaming the lanes in search of morsels of food. I arrive at my school, a small rural secondary school with about 400 students and 25 teachers. I am immediately greeted by dozens of students rushing towards me to say “Good morning teacher!” When I ask “How are you today?” I receive a plethora of responses from “I am fantastic thank you” to “I am as happy as can be” and, my favourite, “I am on top of the world!” One of my earliest lessons taught them some new alternatives to the generic “I am fine thank you” and they love coming up with different answers for me each day. I take my bag to the room that has been set aside for me during my time here, and then I step back outside when the 7:30am bell rings to signal the start of school. Some mornings we have an assembly and other mornings an exercise programme, but these are always preceded by 10-15 minutes of Buddhist chanting. The students line up in their white uniforms and fill the air with a truly beautiful sound, which vibrates through me and cannot fail to fill me with joy. Throughout the day, I teach four or five 40 minute long lessons. There are 11 classes in the school and I see most of them three times a week, with pupils aged from 10 to 17 years old. Most of my lessons involve playing lots of games, singing songs and laughing uncontrollably! The smallest class has about 25 students and the largest has nearly 50. Grades 6, 7 and 8 (five classes in total) are crammed into a long, shared classroom; it’s hard to tell where one class ends and the next begins! On particularly noisy days, I take my class outside and we make the most of playing more active learning games in the sunshine. At interval time I go to the staffroom, where one of the teachers provides a “treatment” for the rest of the staff. This is usually some sort of traditional Sri Lankan food, such as string hoppers, milk rice, oil cakes or manioc with sambola. During my free periods, I chat to students or teachers, and sometimes I join in with a game of volleyball or netball on the school field. The field is usually shared with a few cows, and one day I stepped in a cow pat during one of the games, much to the amusement of the students! They were all very kind though, taking me to the tap and washing my flip flops and feet for me! The school day finishes at 1:30pm and it is then time for my after school class. On a Monday, the grade 12 and 13 students stay behind with me. I don’t have lessons with them during the normal school day, so it is always a pleasure to spend an hour and a half having fun with them once a week. My favourite after school class has to be on Tuesdays though. A handful of Grade 11 girls are probably my most enthusiastic pupils and I love teaching them. They are working incredibly hard at the moment, as their exams are in just four weeks, yet despite all of their extra tuition during the evenings and weekends, they choose to spend some of their limited free time with me. They are amazing girls; intelligent, respectful, kind and ambitious, and so humble. I know they will all achieve great things one day. After school on Wednesdays I lead a singing and games class, which is fantastically fun, and on Thursdays I have a two-hour lesson with the teachers, helping them to improve their English. Occasionally when my classes finish, I catch a glimpse of the school’s incredibly talented dancers practising their routines. Last year, they won first place in an all-island dance competition, and they are competing in the finals again this year. Watching these young boys perform so beautifully evokes such emotion in me; I have never before seen such raw and brilliant talent first hand. My three-wheeler picks me up at 3 or 3:30pm and my wonderful surrogate mum has a delicious rice and curry lunch waiting for me on the table, which I eat in the traditional Sri Lankan way with my hands. After lunch, I do my washing by hand and complete any planning needed for the next day. This often involves drawing, colouring, cutting and sticking to make resources for my lessons. I have even written a few songs to use in class! Sometimes I help 8-year-old Lohan with his English homework or have a little dance with his 67-year-old grandmother! She speaks very little English, but is officially one of my favourite people and we have so much fun together. 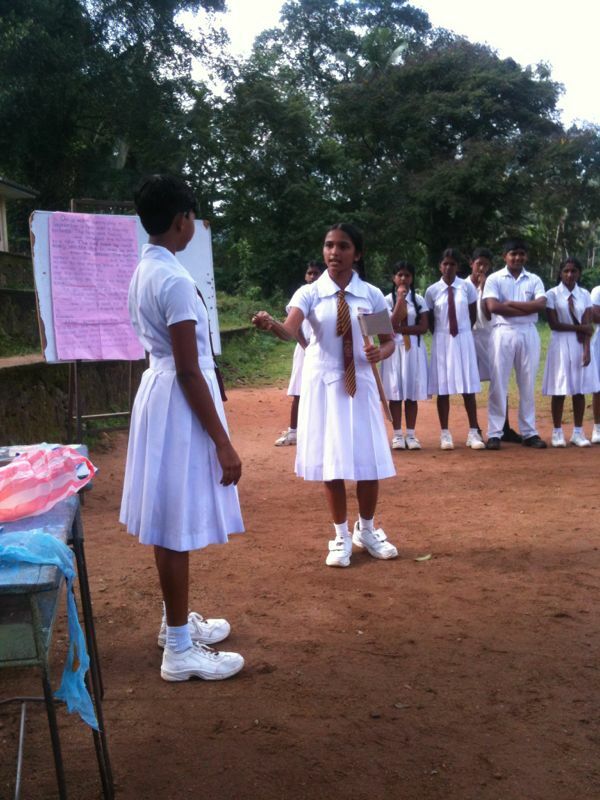 She has also been one of my best Sinhala teachers, helping me to grasp a few basic words of the native language. 5pm is tea-time when another spicy ginger tea and yet more tasty Sri Lankan treats are on offer. I have never in my life eaten as much as I do here! Some days I speak to my volunteer partner, Kerra, on the phone after tea. Kerra is teaching at a primary school about 5km away from me and it’s great to be able to share stories and support each other, as well as spending time visiting other parts of the country together at weekends.I eat my dinner at 8:30pm; some days this is another rice and curry meal, and on other days we have roti, hoppers, string hoppers, soup, noodles or bread. Whatever I’m served up though, two things are guaranteed – it is spicy and it is delicious – and it rounds off another wonderful day perfectly! 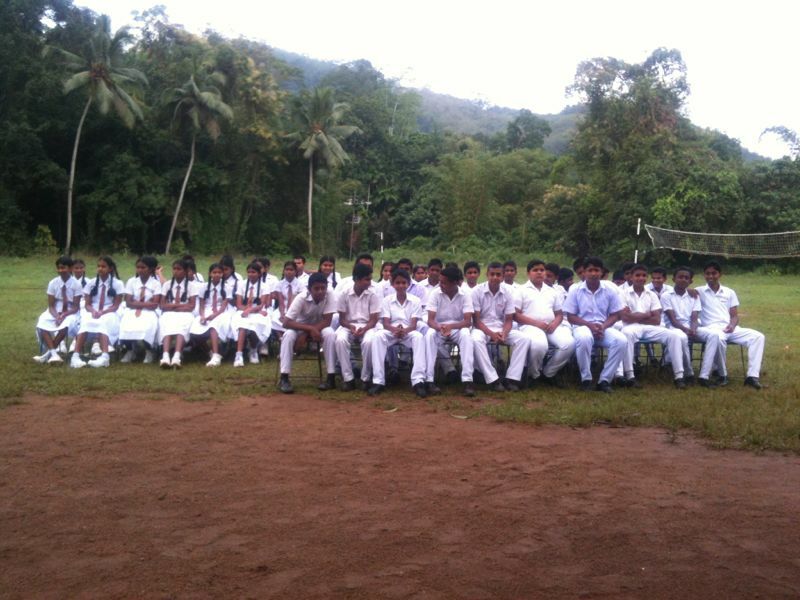 Interested in volunteering in Sri Lanka? Apply now!